This is a very interesting choice. I personally know people that don’t have a clue about meditation, that didn’t believe it could be so beneficial to one’s health. The ones that have gone to check this place out, have become regular practitioners. They have told me that they were able to control aspects of their personality that they have always wanted to improve; everything from temper to stress. This center bases its philosophy on the teachings of Brahma Kumaris. What is interesting here is that they offer free courses. They have thematic evenings every week for discussions and conferences on different subjects. They offer courses in different languages (even Spanish!) and is the only one that I’ve seen with Online courses on Raja (royal) Yoga meditation. 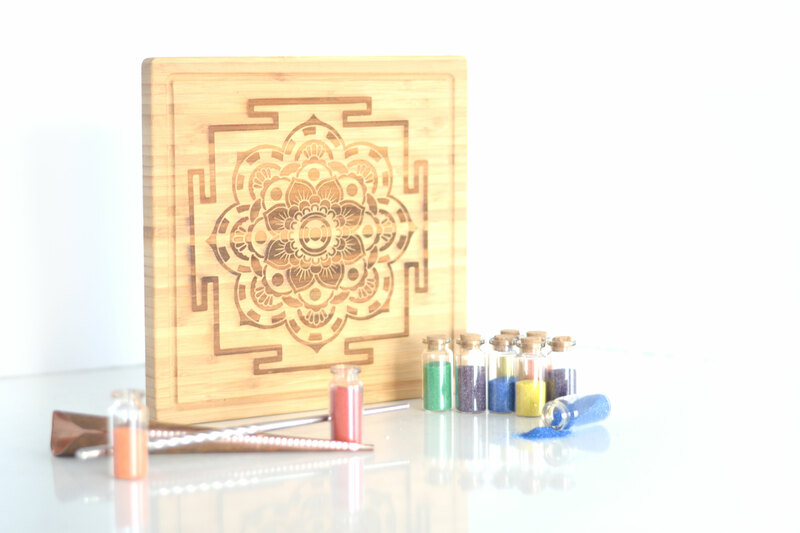 Click here to get your Sand Mandala Meditation Set and start a new and exciting meditation experience! They do emphasize on effortless meditation, and is one of the very few centers that actually teach Transcendental Meditation (TM ) through courses offered every month. They have numerous programs oriented to happiness. You can even volunteer to help people in need and you could even learn the Ayurveda healing system. This institute is affiliated to the United Nations. It is very interesting since it gives you the opportunity to meet people from different religions and creeds coming together to enrich their mental and spiritual practices. They have a number of caritative activities. They offer courses and workshops in about every aspect of the spiritual and mental development. They organize what is the biggest conference in the spiritual and healing subject in Montreal, which happens every year in the summer. Most of their activities are free (or with a very minimum fee) and I promise you that these activities are very diverse and suit every taste. They have Saturday conferences. I found it extremely appealing that on top of starting their meetings and services with meditation, they also offer a round of mediumship which I’ve never seen before. It is well worth it to check it out – even if it is just out of curiosity. You won’t regret it. If you know of any other meditation centers that have inspired you to take up the practice, let us know by leaving a comment below. We’re always super happy to hear from you.